Join work, place marker and knit one row. Row 1: *K2tog, yo twice, SSK. Repeat from * to marker. 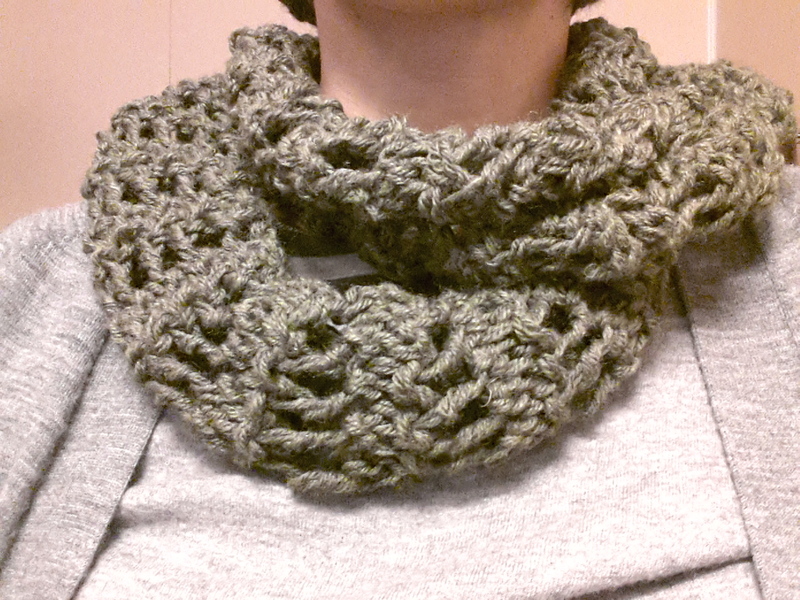 Row 2: *K1, [K1, P1] into the yarn overs, K1. Repeat from * to marker. Repeat these two rows until work measures 17cms. Knit one row and cast off. Weave in ends.